Everything go right and nothing wrong. 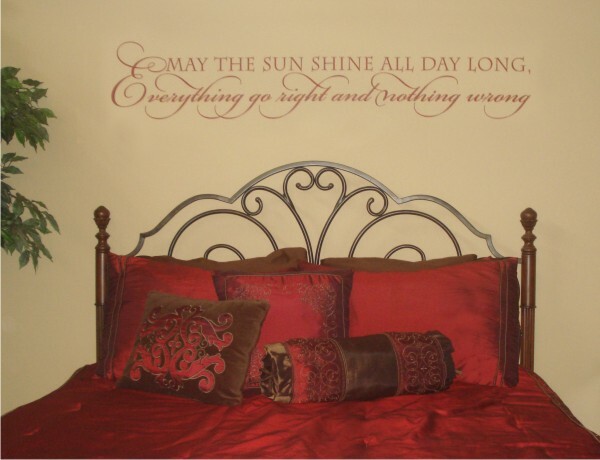 A little optimism can go a long way - so the bedroom is the perfect spot for this inspirational wall quote, where you can see it every day and be reminded that yes, Murphy's Law can be defeated! But of course, you could put it anywhere for a little boost of optimistic good will.